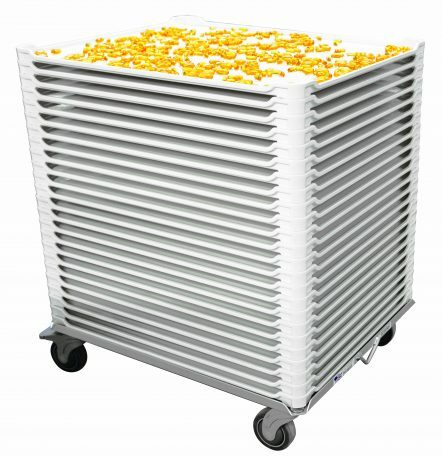 MFG Vertical Farming products deliver exceptional durability and performance for all of your indoor farming needs. 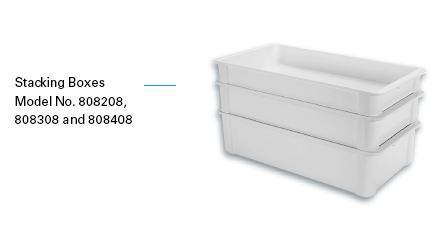 MFG Tray’s trays and containers flats, trays and containers are designed for growing supplies, seed trays, vertical farming displays and flood tables for use with edible, medical and landscaping plants. 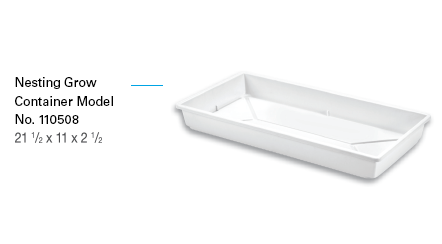 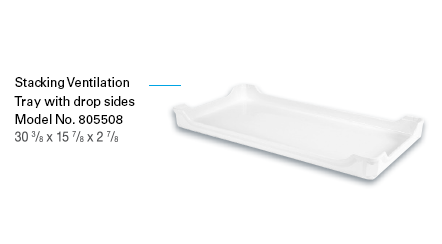 Unlike plastic trays and containers, our glass-reinforced composite products are dimensionally stable and will not bend or sag under heavy loads. 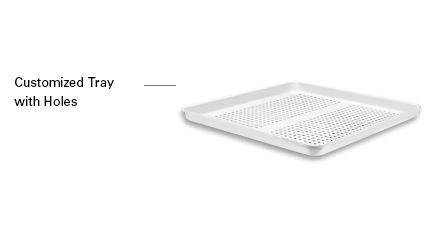 Thanks to this strength, MFG Tray products can meet tall stacking heights to save space and streamline indoor growing. 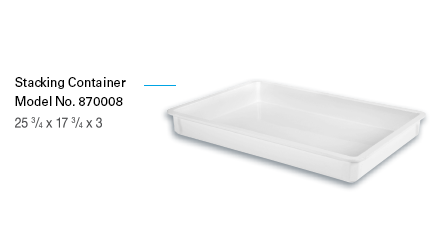 MFG Tray products can be customized to meet your farming needs. 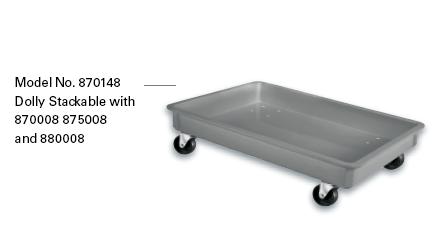 Customized options may include: slots and holes for irrigation, side or drop handles and cut-outs or recesses or lids and dollies to simplify transport. 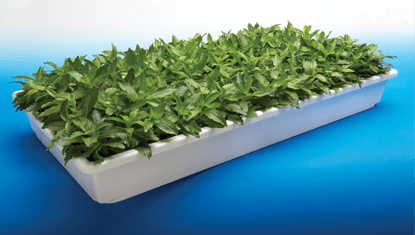 Success in vertical farming results from a carefully balanced mix of pH, nutrients, light, temperature and humidity. 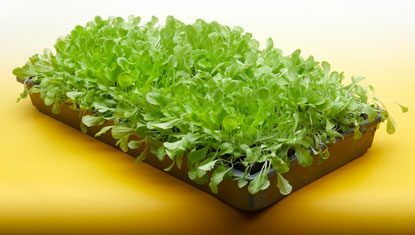 Vertical farming demands precise control of environmental factors to produce crops consistently at any time of the year. 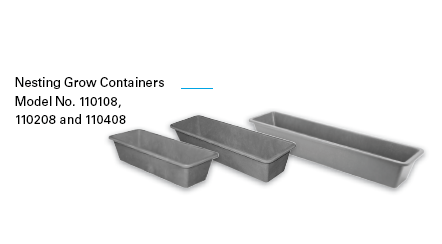 MFG Tray meets these demands with a proven line of high-strength, technologically advanced products – from trays and flats to nesting containers and customized options.